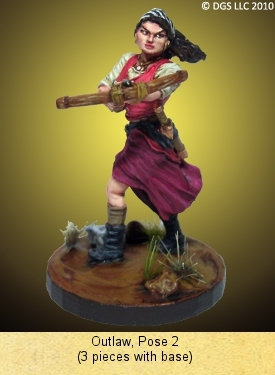 You can purchase new and pre-owned Black Rose Bandits here on the web store for great prices. We can even have them custom painted to fit your army. The Black Rose Bandits Figures are those who have rejected their people and have become outlaws in the world of Faelon. They are also hired hitman and mercenaries for many of the different Faelon and faction.